Born in Brescia, Italy, in 1948, he began making films at the beginning of the 1970s in Spain. He has been professionally involved in photography since 1985, focussing in particular on the visual examination of vibrations and emotions in photography. Since 1993 he has taken part in solo and group exhibitions, both nationally and internationally, including Milan, Trieste, Turin, Brescia, New York, Arles, Paris, and London. His works are often inspired by oriental philosophy and mythology, and attempt to examine the primitive origins of humanity. In 2000 he took part as Teaching Artist in the programme of “Learning Through Art” at the Guggenheim Museum, New York. Since 2002 he has been a teacher of artistic and creative photography at the Libera Accademia di Belle Arti in Brescia, and since 2006 he has been involved with creative video. 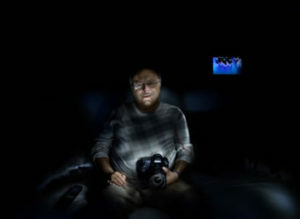 His current work examines the world of virtual images and the “media”. His works can be found in various permanent collections such as in Modena, Turin, Brescia, Paris, Cologne, London, and Arles. His published books include YIN, MITI E MITESSE, HAIKU, VENETIAN IMPRESSIONS and INSIDE TELEVISION.